On the occasion of Universal Brotherhood Day, there was program organized in C.U.Shah Commerce College, Ashram Road, Karnawati on 11th sept. There were 125 participants participated in the program. 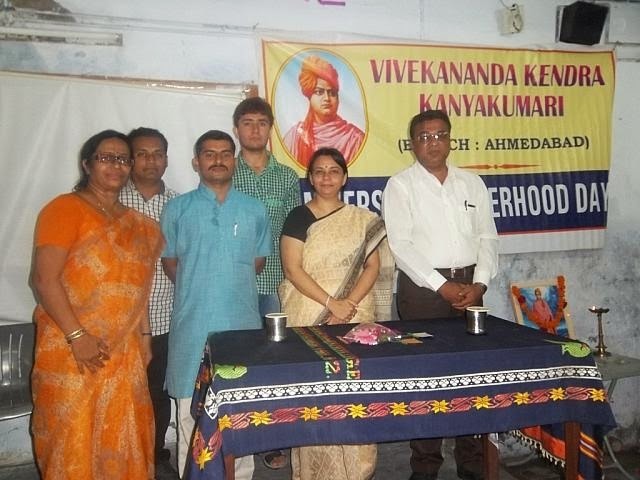 Lokeshji, lifeworker of Vivekananda Kendra has been presented his views on Universal Brotherhood through ppp.